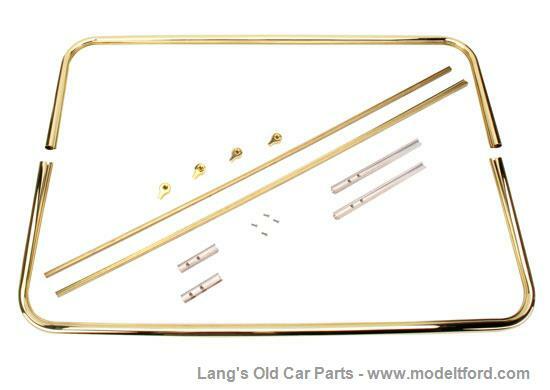 Brass windshield frame, open car, both halves are 13-3/4" high and 41-1/2" wide. 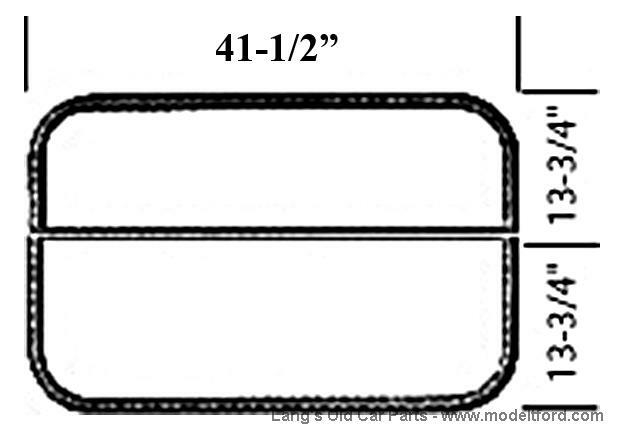 This windshield frame is an excellent reproduction of the original style frame. It is made of solid, polished brass and include brass glass channel, filler blocks, and glass clamps. Tech Tip: If using 3/16" glass or lexan, use with a brass setting channel. If using 1/4" glass or lexan, use urethane or setting tape (available from a glass shop) and do not use a brass setting channel.